Carlos Cebro was born in Montevideo, Uruguay where he was taught piano by Adhemar Schenone, Hugo Balzo and Eliane Richepin. He successfully passed several competitive examinations before moving to Paris to further his education under Suzanne Roche and Vlado Perlemuter. He developed his skills in performing German lieder with Professor Paul von Schilhawsky, Director of the Mozarteum of Salzburg. While in Paris, Carlos Cebro appeared as a soloist with orchestras, and chamber music ensembles, and has been an accompanist for renowned singers, performing worldwide, in concert halls, and on radio and television. Hired several times by the Mozarteum of Salzburg, Carlos Cebro is a member of the board examiners of several renowned international boards. He has conducted master classes in Japan, South America, Russia, Spain, Poland, South Korea, France and Portugal where, in 1984, he organized the first International Competition in Porto, and provided the artistic leadership for the following seven years. Today, he is the Chairman of the "City of Montevideo" (Uruguay) competition. He is also the chair of the artistic committee of the Brest (France) piano competition, and the artistic director of the Maria Canals International Music Competition, as well as the President of the Jury of that competition. Carlos Cebro was named Professor of piano, by contest at the Catalonia Upper School of Music in Barcelona, Spain. The French Government recently granted him the medal of "Knight in the Order of Arts and Letters". As a solo performer, Carlos Cebro has played under the direction of Arie van Beek, Neithard Bethke, Jacques Bodmer, Paul Bonneau, Philippe de Chalendar, Choo-Hoey, César Grimaldi, Lazlo Halasz, Pablo Komlós, Gustav König, Hugo López, Roberto Montenegro, Karl Nagel, Miguel Patrón Marchand, Kurt Rapf, Salvador Brotons, Jerzy Salwarowsky, Karol Stryja, Héctor Tosar, Frédérico García Vigil, Antonio Vito, and others. 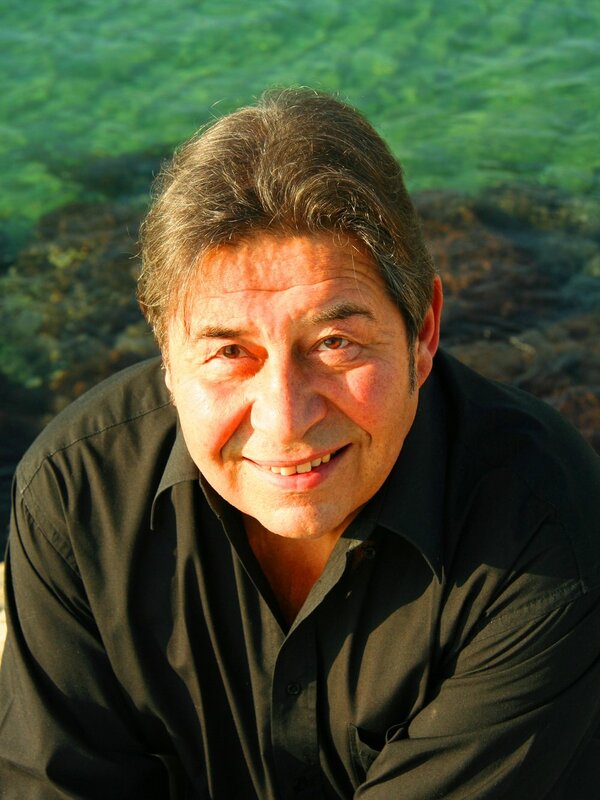 Carlos Cebro has accompanied great voices including, Arleen Auger, Rita Streich, Carmen Bustamante, Margarita Castro-Alberty, Viorica Cortez, Masako Deguci, Marie-José Dolorian, Yolanda Hernández, Alessandra Ruffini, Giulietta Simionato, Nobuko Takahashi, Jules Bastin, Roland Hermann, George London, Bruno Pratico, and others. 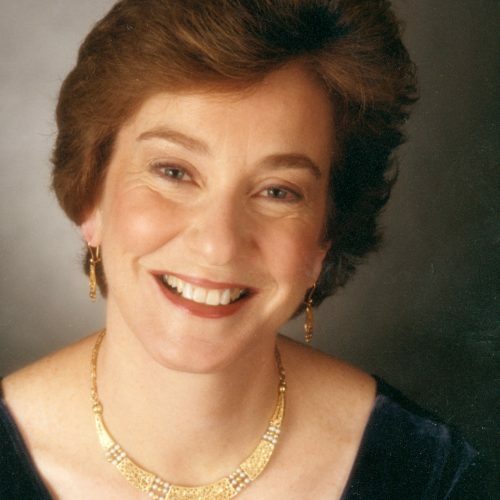 Marian Hahn has been a member of the piano and chamber music faculties at the Peabody Conservatory since 1987, and currently holds the Singapore Conservatory of Music Chair in Piano. She was instrumental in the founding of the Yong Siew Toh Conservatory of Music at the National University of Singapore and was in residence there during the fall semester of 2007. During her trips to Asia, Ms. Hahn has performed and given master classes in Singapore, Taiwan, Korea, China, and Thailand. She has also given master classes throughout the United States and has frequently served as a competition juror, most notably at the Geneva International Piano competition, Concert Artists Guild, MTNA national competition, Fischoff Chamber Music, and Hilton Head International. Hahn’s career as a performer, evenly balanced between solo and chamber music appearances, has taken her to 48 states, Europe and Asia. Her solo career was advanced by top prizes in the International Leventritt Competition and the Concert Artists Guild auditions, which led to her New York debut and “Encore” recitals at Weill Hall. She was also a top prizewinner in the University of Maryland and Kosciuszko competitions. Among the orchestras with which she has given solo performances are the Cleveland Orchestra, the Boston Pops, and the Jacksonville Symphony (five engagements). Hahn has also performed in prestigious recital series in Washington, D.C., Boston, Chicago, Minneapolis and New York. Critically acclaimed European tours have taken her to England, France, Italy, Holland, Belgium, and Germany. As a chamber musician, Hahn has participated in the Marlboro, Sedona, Rockport, and Grand Canyon festivals, and was a long-time faculty artist at the Kneisel Hall Chamber Music Festival in Maine. A founding member of the Amabile Piano Quartet, recording on the Summit label, she also toured extensively as a member of the Amadeus Trio, recording on the Kleos label. She has also participated in the Summit, Interharmony, and most recently in the Virtuoso e Bel Canto summer music festivals. A Phi Beta Kappa graduate of Oberlin College with a major in Comparative Religion, Hahn received her Master of Music degree from the Juilliard School. Her teachers have included John Perry, Ilona Kabos, Leon Fleisher, and Benjamin Kaplan. Jong Hwa Park is a concert pianist and a professor. Born in Korea, he began playing the piano at age four. Park established his international credentials at an early age. There followed a string of engagements across Europe, the United States and Asia where he performed with many of the world’s leading orchestras. Park’s diverse career in music reflects his passion for both performance and education. 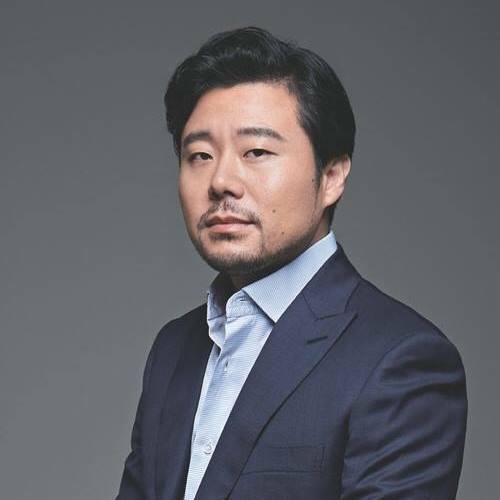 Since becoming a faculty member at the prominent Seoul National University in 2007 at age 33, he has designed and organized innovative lectures and international festivals. Park is a passionate advocate of modern music and is a frequent guest at major festivals worldwide. In his youth, he studied at the Preparatory School of Tokyo Music College in Japan and the Preparatory School of New England Conservatory in the United States. In 1992, Park was offered a full scholarship at the New England Conservatory in Boston, where he followed the great artistry of legendary pianist Russell Sherman. Park completed his Bachelor and Master degrees with Honors. Upon completing his Master’s program, Park moved to Europe where he was invited to study at a number of prestigious institutions where he studied with Dmitri Bashikrov, Joaquin Soriano, and Elisso Wirssaladze. Concurrently, Park received musical guidance from Karl Ulrich Schnabel, Leon Fleisher and Martha Argerich. In 1998, he was invited to study at the Il Fondazione per Il Pianoforte in Como, Italy. In 1999, Park followed Bashkirov to Spain, where he obtained the prestigious Artist Diploma – a highly selective degree reserved only to a handful of candidates each year—from Escuela de Musica Reina Sofia in Madrid. In 2003, Park moved to Germany, where he enrolled in the distinguished Meisterklasse program at the Hochschule fur Musik und Theater in Munich. Park has achieved many accolades throughout his career. Park received first prize in the Mainichi Shinbun Music Competition of Japan at age 12. Subsequently, he won several first-prizes at national competitions in the Japan, Korea and the US. Internationally, Park is laureate of numerous competition including the Queen Elizabeth International Piano Competition, the Santander International Piano Competition, the Rubinstein International Competition, and the Ferrucio Busoni International Piano Competition. Park has appeared in renowned concert halls including the Koncertgebouw in Amsterdam, the Herculas saal in Munich, and the Palais de Beaux in Belgium. He has collaborated with the some of the world’s highly acclaimed orchestras including the Dresden Symphony Orchestra, the St. Petersburg Symphony and the Boston Symphony Orchestra. He is also active in smaller format projects including chamber music to chamber orchestras. The latest project was with Daniel Hope and Zurich Chamber Orchestra. As socially conscious and conscientious artist, he firmly believes that music is to be shared beyond concert goers. He is committed to realizing this belief through projects such as ‘Run Piano’ in the capacity as an artistic director delivering live music to disadvantaged communities and individuals. His debut recording of Rachmaninov and Mussorgsky with Sony Classical was praised by music magazines for its “powerful and masterful interpretation”. His second album ‘NUNAYA’, Korean Children’s Songs arranged as piano pieces was released with Universal Music and was described in the press as “beautiful and sublime, moving hearts and invoking the memories past”, climbing to the top of the classical charts. Park also completed a widely praised NUNAYA Korea tour that launched at LG Arts Center in Seoul. Park sometimes appears on television screen as presenter in music documentary and so far worked with productions for two prominent Korean broadcasting companies. An internationally renowned artist and pedagogue, Victor Danchenko was for many years a member of the Faculty of the Curtis Institute of Music and the Peabody Conservatory of Music. He now proudly makes Toronto his home and teaches there at The Glenn Gould School. Emil Israel Chudnovsky hearkens back to the grand romantic tradition of the golden age of violinists. His lush sound and inimitable ability to connect with audiences have garnered him accolades from listeners, presenters and critics alike. Recent seasons have been full of firsts, including his debut this season at the Seoul Arts Center in South Korea with the KammerSymphonie Berlin, and his recent inaugural recording with the St. Petersburg Symphony Orchestra. Equally notable benchmarks include Chudnovsky’s debut with the Orquesta Filarmónica de Jalisco in Mexico, when he replaced an indisposed soloist for a previously unknown concerto on ten days’ notice. Other recent appearances included Chudnovsky’s recital debut in Auckland, New Zealand, and concert debuts with the Macon Symphony, the Palm Beach Symphony and the Orquesta de la Ciudad de los Reyes in Lima, Peru. On radio, Chudnovsky has been featured on NPR’s “Performance Today”, Boston’s WGBH and the UK’s BBC3. His chamber music activity has also been intense, with repeated festival appearances at the famed Newport Music Festival and at Germany’s Henselt Festival, as well as concerts at the John F. Kennedy Center for the Performing Arts, New York’s Merkin Hall and London’s Wigmore Hall. A veteran of the competition circuit, Chudnovsky is the winner of top prizes from nine international competitions. He holds 1st Prize from the XI International Curci Violin Competition (Naples), 1st Prize from the Young Artists Competition of the National Federation of Music Clubs and, most recently, 1st prize from the Valsesia-Musica International Violin Competition (Milan). Twice a laureate of the “Premio Paganini” International Competition, he also holds 2nd Prize from the D’Angelo International Competition, as well as awards from the Rodolfo Lipizer, Szeryng and Enescu international competitions. Chudnovsky has performed in Great Britain, Italy, Israel, Spain, Sweden, Denmark, Japan, Argentina, Brazil, Ecuador, Colombia, Chile, Peru, Uruguay and Venezuela. In the United States, he has played recitals and concerts with orchestra in Washington DC, Illinois, Ohio, Virginia, New York, South Dakota, Maryland, California and Florida, including multiple appearances at Carnegie Recital Hall, and a debut at the Encore Summer Festival in Ohio that gave him the unique distinction of being the only non-CIM student or alumnus invited to appear on the Festival’s Blue Ribbon series. Releasing his first solo album, “So, What Have You Done Lately?” in 2000, Chudnovsky followed it in 2002 with a live concert recording of the Bruch and Saint-Saens #3 violin concerti. His third CD – “The Golden Age” (JB Records) – was released in 2005, making him the first American violinist to record in China for a Chinese label. As a frequent soloist with the Israeli chamber orchestra "The King David String Ensemble," Chudnovsky has also toured in Belgium, Turkey, Thailand, Singapore, the Philippines, Burma, and Japan. Chudnovsky began concertizing at the age of eleven with a solo performance on Uruguayan television and in concert with the Montevideo Chamber Orchestra. The same year, he was featured in a series of live radio broadcasts from the Mostly Mozart Festival in Grahamstown, South Africa. Since then, Chudnovsky has performed to great critical acclaim all over the world, having toured extensively in Europe, Asia, North and South America. Emil Chudnovsky was born in Moscow, Russia to renowned violinist Nina Beilina and the late eminent opera conductor, Maestro Israel Chudnovsky. After immigrating to the United States, Chudnovsky began violin studies at the Mannes College of Music pre-college division. Having studied at The Juilliard School and the Manhattan School of Music, he holds degrees from the Mannes College of Music and Yale University. Chudnovsky plays on a copy of the ex-Joachim del Gesu made for him in July 2010 by Howard Needham. © 2019. Kirov Academy of Ballet.All Rights Reserved.